Be a witness to your neighbor with the Witness Skateboard Pendant. 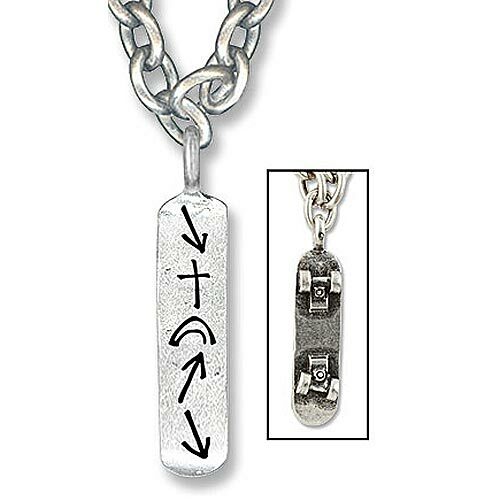 A modern metal skateboard pendant and metal chain necklace, highly popular among young boys, that retains the natural look and feel consistent with the entire Witness line. The unique symbols always make for a great conversation starter!